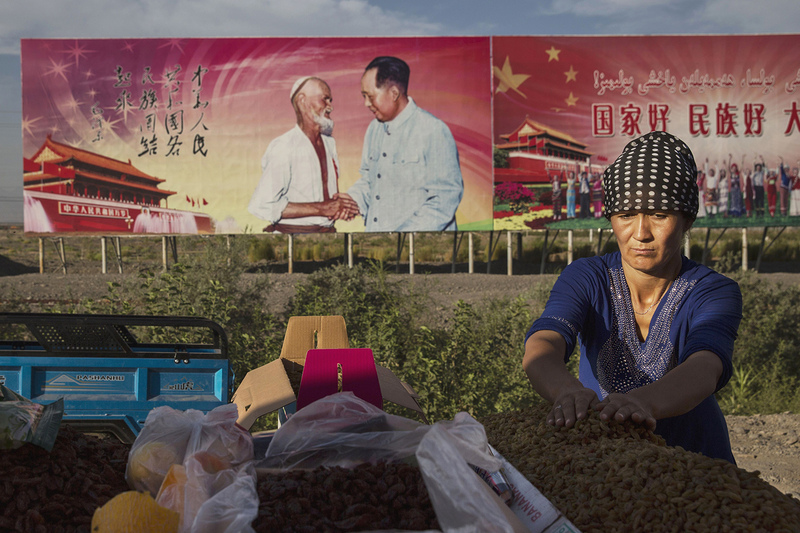 An ethnic Uighur woman arranges raisins for sale at her stall with a billboard showing the late Communist Party leader Mao Zedong in the background before the Qurban festival, in Turpan County, Xinjiang Uighur Autonomous Region, September 8, 2016. Islamophobia isn’t a phenomenon limited to Trump’s America or the Europe of Brexit and Marine Le Pen. It has taken root in China, too—in a form that bears a striking resemblance to what we’ve seen in recent years in the West. The Chinese Party-state now faces a vexing conundrum: how to balance, on the one hand, its idea of China as a multiethnic state and to prevent overt anti-Muslim sentiment with, on the other hand, its commitment to atheism—all the while combating the “three evils” of terrorism, separatism, and religious extremism. Kaiser and co-host Ada Shen spoke with the Amman, Jordan-based reporter Alice Su, who has written a series of pieces about Islam in China, and with Ma Tianjie, the wise interpreter of Chinese public opinion and founder of the indispensable Chublic Opinion blog, to unpack the phenomenon of Chinese Islamophobia, and to explore the other difficulties that Muslims face in China on a daily basis. Be sure to also check out Su’s five articles on “Islam with Chinese characteristics,” which she wrote with a reporting grant from the Pulitzer Center on Crisis Reporting. Every one of them is worth a good read.